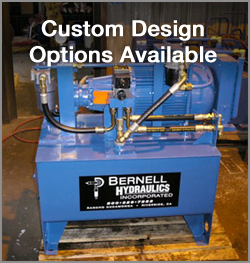 When you need valves for any sort of hydraulic application, look to Bernell Hydraulics. As an authorized supplier of Parker hydraulic valves San Diego CA, we can help you get top-performing valves for mobile and industrial applications. Whether you need valves for an irrigation or water control system, a forklift, mobile drill rig, backhoe, truck-mounted crane, forklift, or any other hydraulic machinery, we can help you find the right valve for the job. In addition to having a sterling reputation for high-quality, well-engineered parts, Parker is also known for innovation. One example is their line of Colorflow valves, which feature color-coded checkpoints on each valve to enable precise adjustments in the field, without the need to measure the valve openings. Another exciting Parker product is their electrohydraulic valves. These components use solenoid valves to interface between electronic signals and hydraulic power components. They are programmed using Parker’s unique software. If you are interested in upgrading your hydraulic valves to Parker hydraulic valves San Diego CA, just ask one of our experts for advice about your options.